I wanted to make sure those that don't follow me on social media can still see the amazing way my life has been changed thanks to this method so I'm going to share it each week. 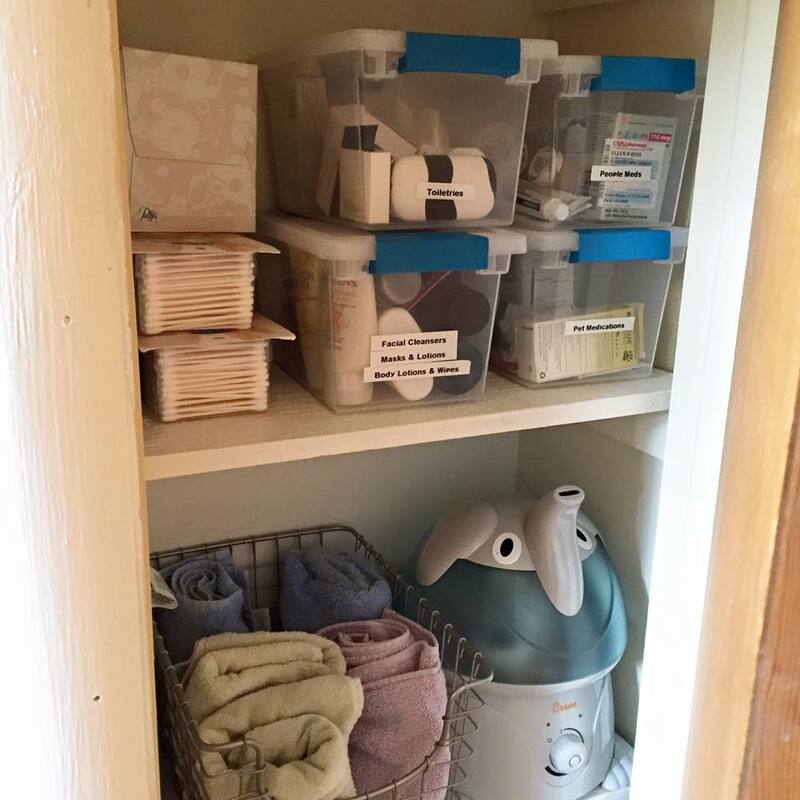 This week I'm featuring my kitchen and my bathrooms. My kitchen has a lot of storage space but that doesn't mean I have to keep a lot of unnecessary things. Excess toiletries go in the second bathroom's small closet. 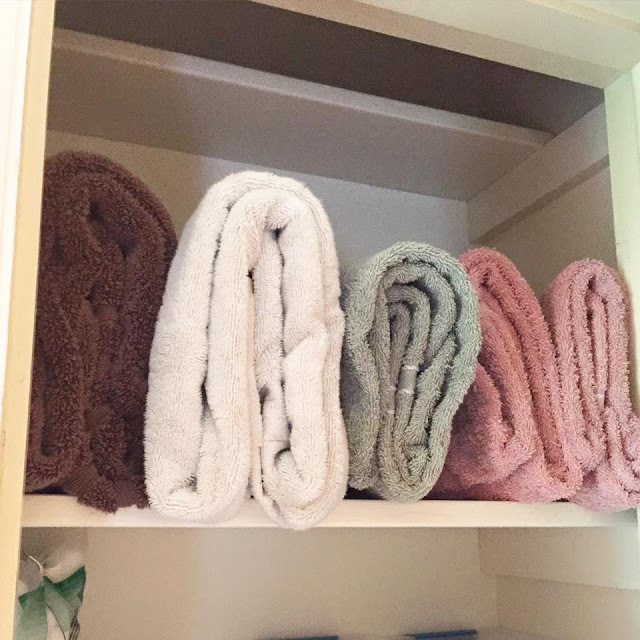 The guest towels are in the linen closet in the bathroom all neatly folded just as Marie Kondo recommends. This drawer is in the kitchen and it's used for my oven mitts and dish towels. 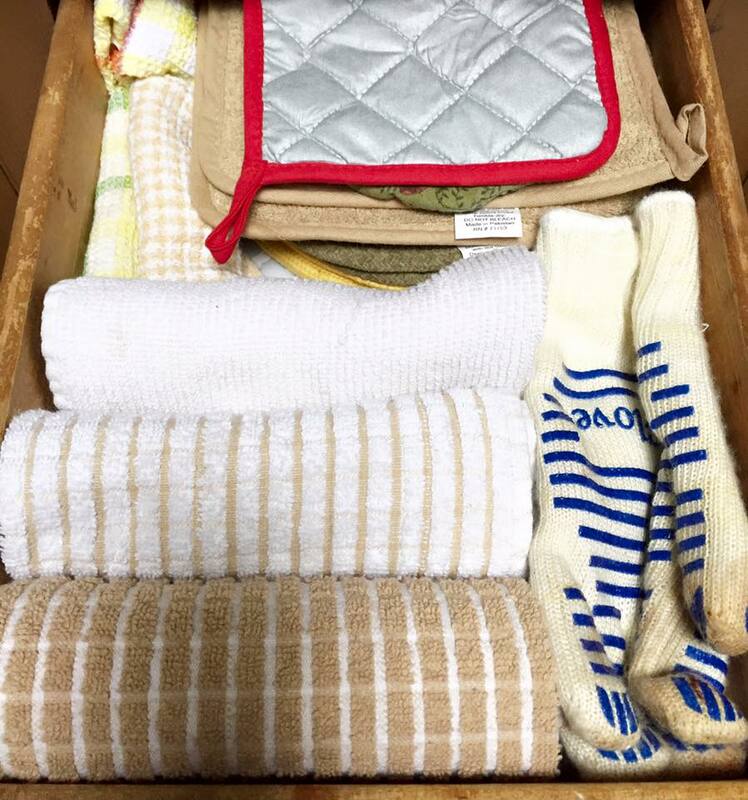 I always struggled to fit everything in one drawer and I thought folding it Marie's way would only make it more difficult but boy was I wrong. 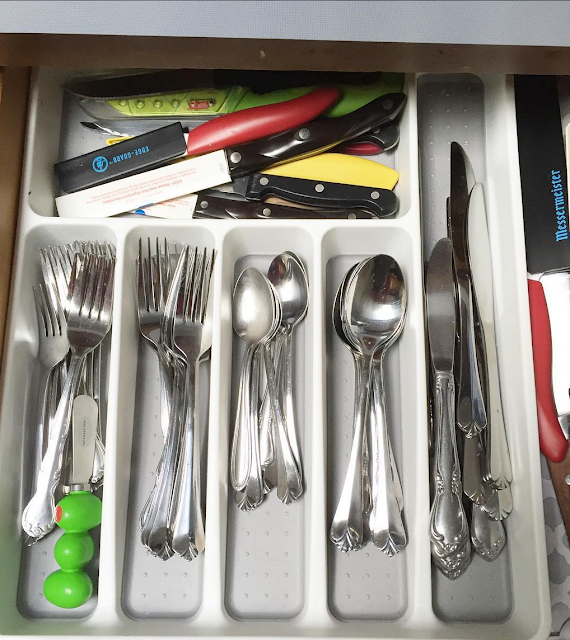 Here is my utensil drawer. Everything is neat and orderly. This used to be a junk drawer but now it's a utility drawer where I keep all the things I use in the kitchen. 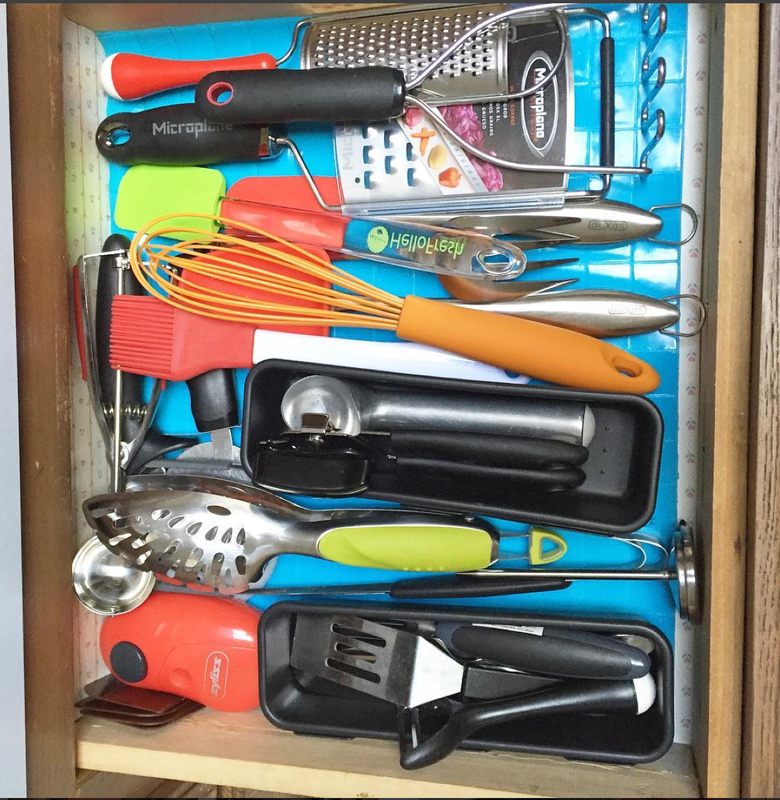 I only have kitchen utensils that I will need for specific purposes so I have them in one drawer. 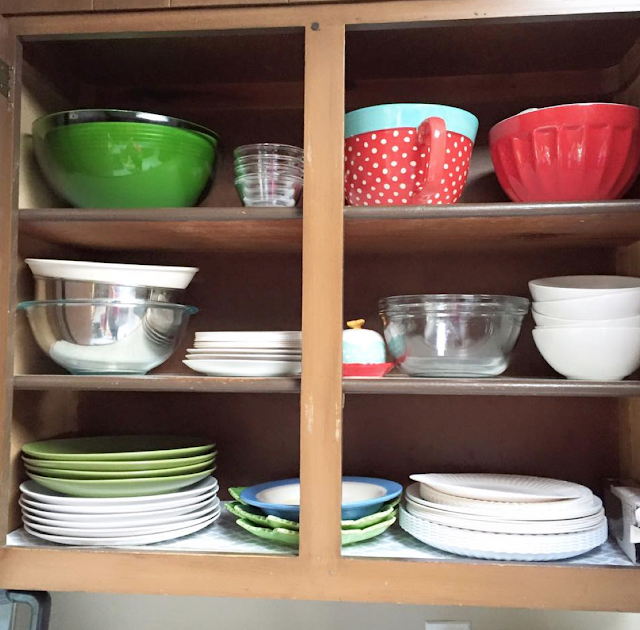 This is my beautiful display of dinnerware and bakeware. I love that everything is displayed so I can easily see what I need. And of all my cupboards - THIS is the one I love most. 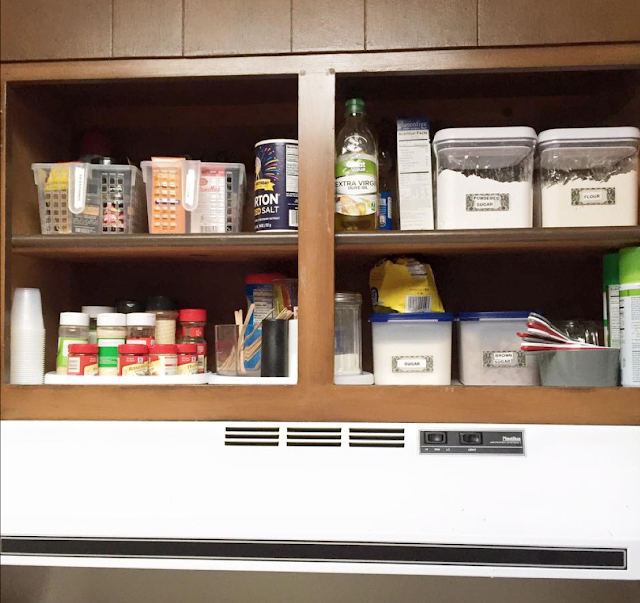 My organized and tidy cooking/baking ingredient cupboard! 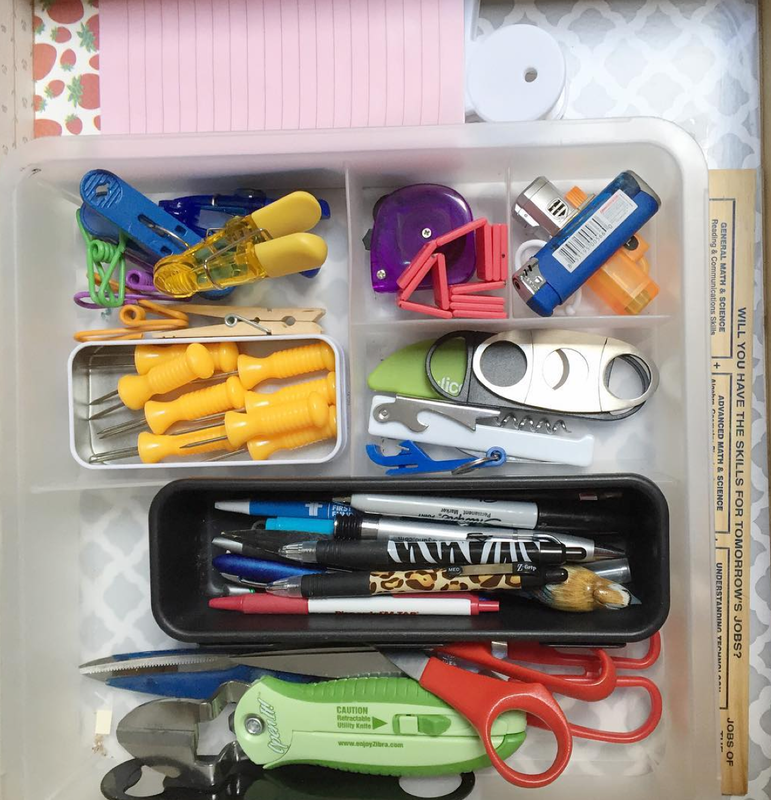 Love how you organized everything! I've really wanted to read that book. I'm seeing lots of people with great results. Your house is looking super organized. Maintaining it would be my biggest issue.